Two venerable classics come to Nintendo's various Virtual Consoles this week, but both bear a few interesting tweaks. Here's what Europe can download later on in the week. 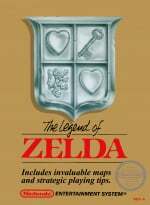 The Legend of Zelda (NES, Nintendo, £4.50/€5, 54 blocks) — The original title comes to non-Ambassadors, complete with handy features like restore points. Is Link's first adventure still worth picking up in this day and age? Our review will tell you soon. 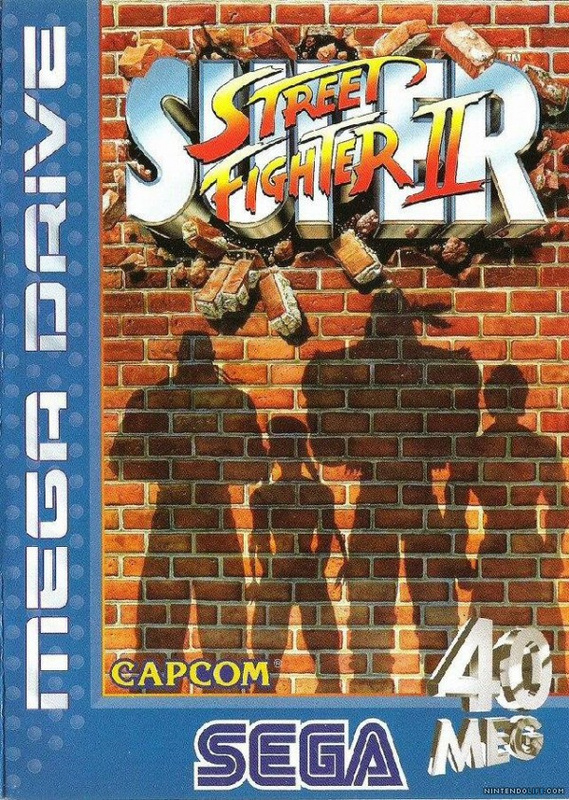 Super Street Fighter II (Mega Drive, SEGA, 800pts) — We've already got the (arguably superior) Super NES version of Super Street Fighter II on Virtual Console, but SEGA's take on the famous fighter features online multiplayer, a Virtual Console first in Europe. We'll put it through its paces in the near future for a review. Crystal Caverns of Amon-Ra (Selectsoft, 500pts, 56 blocks) — Essentially a DSiWare version of gem-shooter match three Puzz Loop/Luxor/Zuma, this isn't a bad puzzle effort for DSiWare, though how often do we say that? Regardless, here's a Crystal Caverns of Amon-Ra review to help you make up your mind. I Must Run! (Gamelion, 200pts, 44 blocks) — A DSiWare version of Canabalt, essentially. We'll race to bring you a review soon. That's your lot this week, folks. Who's buying what? I'm an ambassador, so nothing for me. I can finally have save states on the 8-bit awesomeness that is The Legend of Zelda. I was waiting for save states to come to my ambassador digital copy of zelda, personally . Good news. Anyone who is paying £4.50 for those NES games is a fool. Unless it's their first time playing the game, then I might let them off. Absolutely NOTHING this week. Zelda is great but .. I have it already. The rest sounds like shovelware. Where's VVVVV? Where's Mutant Mudd? C'moooon!! Yup. No vvvvvv, mutant mudds, and still no fabled cave story on the dsistore. I bought link's awakening last week and got LoZ as an ambassador so nope. Until they start getting stuff out that everyone else has, nothing for me. @nick_gc Exactly! Everything should 69p including retail games. Just because it's old doesn't mean it's not worth £4.50. It's more than a reasonable price. I have Zelda on my Wii, so nothing for mii this week. Cool stuff its alot better than nothing definitely getting street fighter because I see it as the best version with the addition of old school online scrapping and I'm glad I didn't waste points on the earlier versions. Also never downloaded LOZ for Wii VC might check that out down the track. Already completed Zelda without restore points last year when the Ambassador games launched, so nothing for me. @JarvanZheitk That's not what I was saying AT ALL. What are you trying to do? Be a troll and cause arguments? just because there is old stuff it doesn't mean nintendo has to torture us with their abandonware week after week after week. oh and by the way.. i wanted to buy the additional tables for zen pinball. but now zen pinball 2 is coming to the ps3 and vita.. as a gratis update for owners of zen pinball. now that's what i call a) service and b) a store at the height of the time. now i am gonna buy the vita version. cause it got trophies, superior graphics and the most important point: it is SOMETHING NEW. but i guess 2 to 5 years from now nintendo is going to decide to allow zen pinball 2 for a high price also on the 3ds have fun. Are you guys blind? There's online Super Street Fighter II! Bah, nothing this week, yeah right. @nick_gc Sorry, I wasn't trying to cause an argument. That's a comment I usually when Apple fanboys start moaning about prices on apps and games. I might pick up I must run. But I'll wait for the review first. Play one fighting game, you e played them all, especially when it comes to Street Fighter, then the statement is quite literal. Don't understand why people that winge about nintendo products and software but praise and worship PS360 stuff go to nintendo sites when they know there's gonna be nothing of interest for them. It would be like me going to a sony site and posting how I like ninty alot better and enjoy the games heaps more. Nobody would give a rats. Was hoping for Colors 3D but maybe it comes next week then. I'd also like to see VVVVVV and Sakura Samurai. Well, I still have to buy some other great games from eShop. If I had any friends (and by that I mean gaming friends), I'd certainly pick Street Fighter II up. Shame really. I'd love to play it. Still, I agree that not all fighting games are the same; compare Street Fighter to DoA, or VS Capcom, or Soul Calibur. I wonder what generic, never heard of games the US will get this week. @Mok You really do use the term 'shovelware' way too lightly. I'm not into Street fighter but I can clearly see that its not shovelware and as for the other games, since when did a 6/10 = shovelware? A 6/10 is an average score not a score that indicates shovelware. Games that are actually worthy of that name normally score a 3/10 or worse. Anyway, the restore points should be useful for The legend of Zelda so I'll be updating the ambassador version that I got. Less. Its even more dull and pointless than it sounds. Yeah, I'll appreciate the addition of the save state feature for Zelda (which I've never got around to actually beating despite owning it on multiple platforms). Still though, I'm beginning to lose my patience for Mutant Mudds and VVVVVV. Hell, I'd even be excited to see Sakura Samurai at this point. @VintageBoy That's like saying Mario and Charlie Chaplin are the same because they both have moustaches. I hope Super Street Fighter II comes to America, I really want to play online,I've been playing SF II series since 1992 and I rather play against a human competitor than against the computer. Also hoping for Legend of Zelda since I wasn't an ambassador. I'm going to purchase this game even though I've played it several times before. Care to explain why, according to you, I'm a fool? Because, as my post clearly infers, £4.50 is a tad expensive. Smiley or not, that's severe nitpicking. Hey for all of you guys complaining about not being able to get VVVVVV and Mutant Mudds, you know what's worse? Having them, but not being able to buy it. Stupid measly allowance, It takes a MONTH just to save up for an eShop card. "40 MEG!"? That is a beast of a 16-bit game! Super Street Fighter 2 for me! It's been almost a full year since they've put something new on the download service I want! I love the Megadrive version - it's my favourite 16-bit home version of the game. Such nostalgia. @James when VF and streetfighter are both different types of fighting games. with one being 2D, the other 3D. @Pengaweeno You`ve got your Zelda updated, so quit whining. I`m already happy to have ambassor games updated to eShop standards on a regular basis. At least I'll still have Kid Icarus: Uprising and Pandora's Tower to keep me occupied. .........Be lucky you got a online virtual console. Us Americans don't get anything good...Unless this Thursday is better. Ive got 6 bucks on my balance I need to spend. Do you remember the original price of the game? I think this is considerably cheaper than getting it at that price or even finding the thing on eBay. Plus, what else do you expect me to do? Wait for Nintendo to lower the price? Even if that was possible, I don't think paying more for a game you enjoy is being an idiot. If that was true, I'd be an idiot for every single retail game I've bought, since they're all more expensive where I live. I had to pay $80 for RE: Revelations, while it's half the price in the US. It was either that or waiting months to get a sligthly cheaper used copy. It's not being an idiot paying full price, at the very least it's being impatient. A virtual console first in Europe, James? I wasn't aware of any Virtual Console games that could be played online in any region. What VC game outside of Europe features online multiplayer? If Capcom brings the Genesis version to the U.S. Virtual Console, I hope it also has online multiplayer. I have HD Remix for PS3, but I find the retro-synth in Ryu's stage really catchy in the Genesis version. What VC game outside of Europe features online multiplayer? PuyoPuyo in Japan. Also this version of Super Street Fighter II. Now updated with block data for 3DS and DSiWare games. You're welcome! Like Bass_X0 pointed out in comment #47, Japan has Puyo Puyo 1 & 2 as well as SSFII with online support. 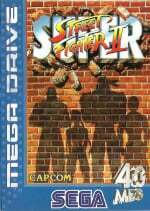 I'd love to play Super Street Fighter II with some of my NL friends here across the pond. That is if it ever makes it to my side of the pond! A couple of other things. First, I hope we see an arcade-perfect Street Fighter II compilation someday (other versions, on Xbox 360 for example, are not... there are differences). Second, did anybody take notice of a mention of Street Fighter II on "CSI: NY" last Friday? It was an episode centering around a video game competition. Sorry about that. I somehow missed those posts. And thanks. why do we even have Wii's VC anymore? ?